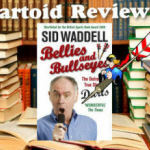 A new little darts book has popped onto the market. 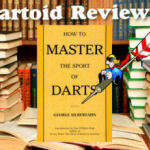 Compiled by Chris Bradshaw and published by HarperCollins, The Sun Darts Quiz Book is a fun read and, priced at roughly ten bucks, it’s a book worthy of a place in the library of any darts enthusiast. The book is short at just 260 pages, but it’s crammed to the gills with 2,000 trivia questions. They cover the rules of the game, tournament history, the players and more. Some of the questions are easy, such as: How much is the double top worth? Or: What American player is known as Johnny K? Others are slow ball pitches lobbed straight across the Dartoid’s World plate. For example: Bed and Breakfast is slang for what score? According to the book the answer is 26. According to my book the answer is: a great date. Here’s another: What is a “woody”? One of the questions, having to do with Chris Mason’s troubles, is unfair – at least it is in the absence of any mention of other player’s difficulties, such as Phil Taylor’s. Some of the answers to the questions are true curiosities, like: Which professional darts player was born on the 180th day of the year? Or: Which player practices to a soundtrack of Beethoven and Mozart? The answer to both is John Part. A few of the questions are supplied with wrong answers. One of them has to do with how much John Lowe pocketed for hitting his 9-darter. Another has to do with why American players used to take potatoes to their matches. My guess is the author is not the only person who is mistaken about the answers. A few of the questions are kind of funny or at least attempts to be, such as: A single, double and treble of the same number is: a Shanghai, a Beijing or a Kowloon? 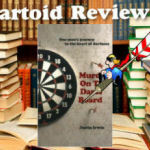 Or: When a dart sticks into another dart it’s known as a: Robin Hood, a Little John or a King Arthur? One question substantiates the author’s lack of knowledge of the highly skilled electronic game: True or False: A dart that bounces out doesn’t count? Which American won the 1994 World Matchplay? Which American did Bobby George beat to win the 1985/86 News of the World title? Which American knocked out number one seed Eric Bristow in the first round of the first BDO Embassy World Championship? Who was Paul Lim’s opponent when he hit his 9-darter (and what double did he finish on)? Which American did Leighton Rees beat in the 1978 World Championship final? Martin Adams was knocked out of the 1997 BDO World Championship by which American qualifier? Which professional darter is a former military policeman and trained as a chef? American Jerry Umberger beat which “Man in Black” in the 1983 BDO Embassy World Championship? Get ‘em all? I doubt it. 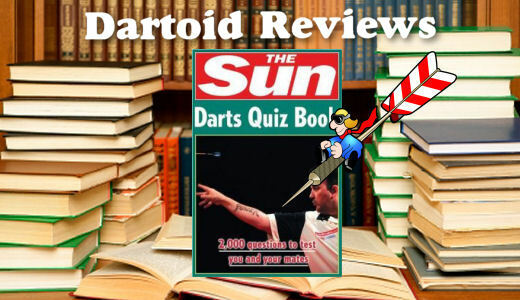 Go to http://www.amazon.com and buy The Sun Darts Quiz Book! 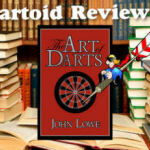 That’s where you’ll find the answers and a whole lot more darts trivia to tickle your mind.